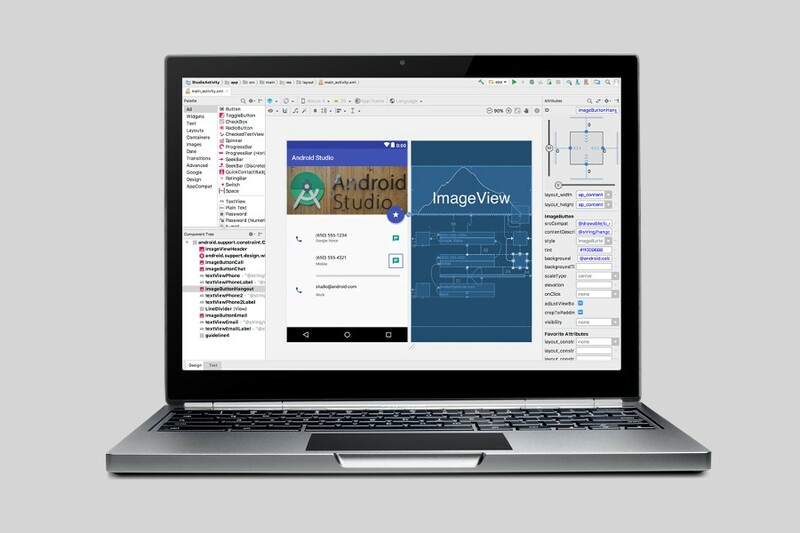 Since the first stable release was launched in the end of 2014, Android Studio instantly turned into a favorite tool for Android app developers to work. Android Studio is intended to replace ADT which has been discontinued by Google. Android Studio is the official IDE provided by Google to help the job of Android app developers. This tool comes with a number of useful features to streamline your job in developing Android apps. Luckily, Google is fair enough. The company provides Android Studio for three major desktop platforms; Windows, macOS and Linux. Installing Android Studio is extremely easy. However, it’s important to know that Android Studio requires high resources to run, especially RAM. Your computer should at least have 3 GB of RAM with the recommended one is 8 GB. In addition, your monitor should also have at least 1280×800 minimum resolution. You can use Synaptic Package Manager (which gives detailed package libraries) to check if those libraries have been installed. Or, if you lazy enough to check every single library on the list above, just run the following command to install them. Already installed libraries will be replaced if you execute the command below. Once the required libraries have installed, you can download the Android Studio package on its official site. The package size is about 737 MB. Once you have the package, follow the steps below to start installing. Copy the package to an appropriate location for your applications, such as within /usr/local/ for your user profile, or /opt/ for shared users. Extract the package, which is in a ZIP format. The extraction process will result a folder called “android-studio”. Enter to the extracted folder (android-studio) using cdcommand. From the “android-studio” folder, go enter again to the “bin” folder. From the “bin” folder, execute the “studio.sh” file. 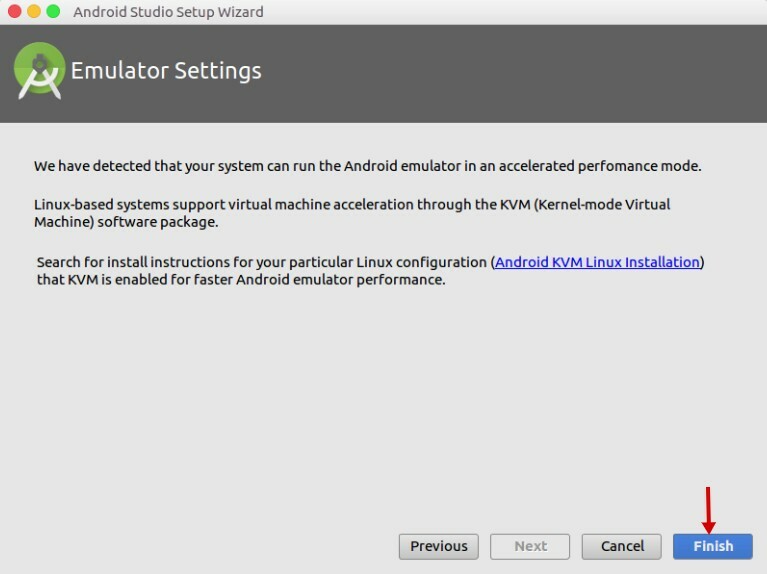 A pop up window will appear asking whether you want to import previous Android Studio settings or not. 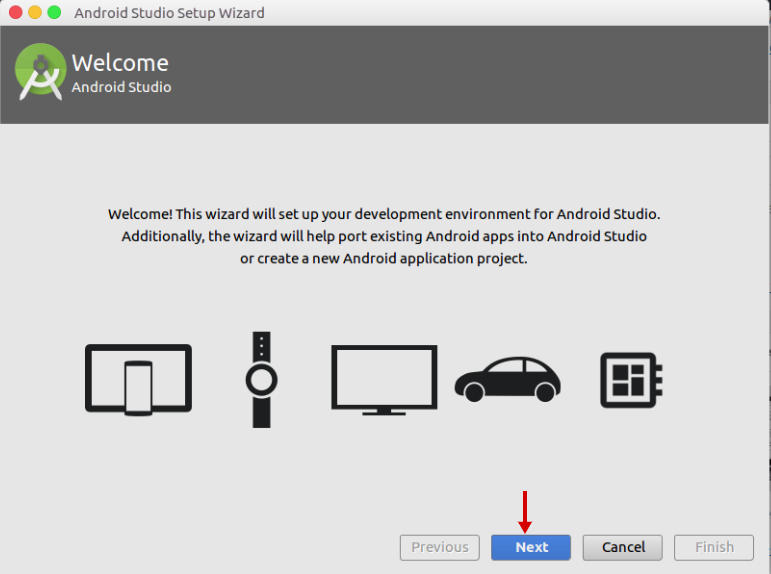 If you have no idea about this, just click OK.
You will have an Android Studio Setup Wizard that will guide you though the rest of the setup. Just click Next to continue the installation process. 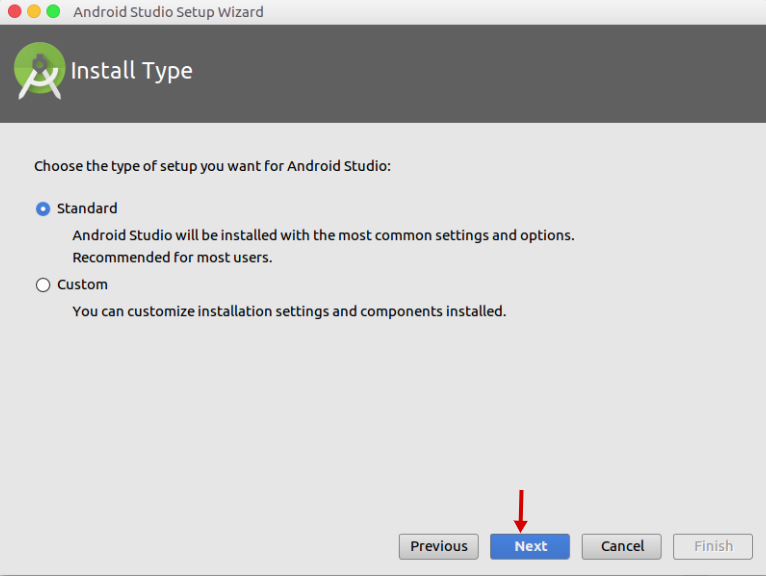 On the next step, you will asked to select the type of setup you want for Android Studio. If you have no idea about this, just select the Standard option (which is more recommended) and click the Next button. Next, you will be asked to select a theme. Just select your preferred one and click the Next button. 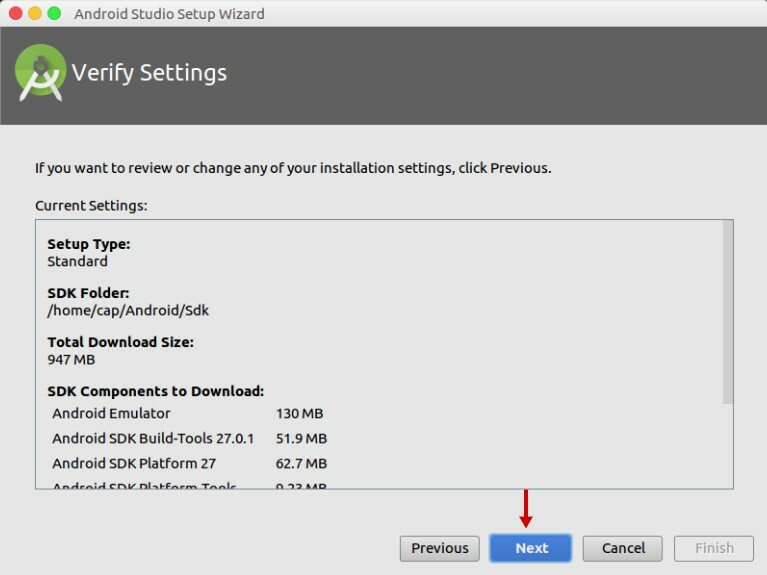 The Android Studio Setup Wizard will download required Android SDK components for development. Click the Next button to continue. Lastly, click the Finish button and Android Studio for Linux is ready to use. In order to make Android Studio available in the list of applications in Ubuntu, you can create a launcher of the app. 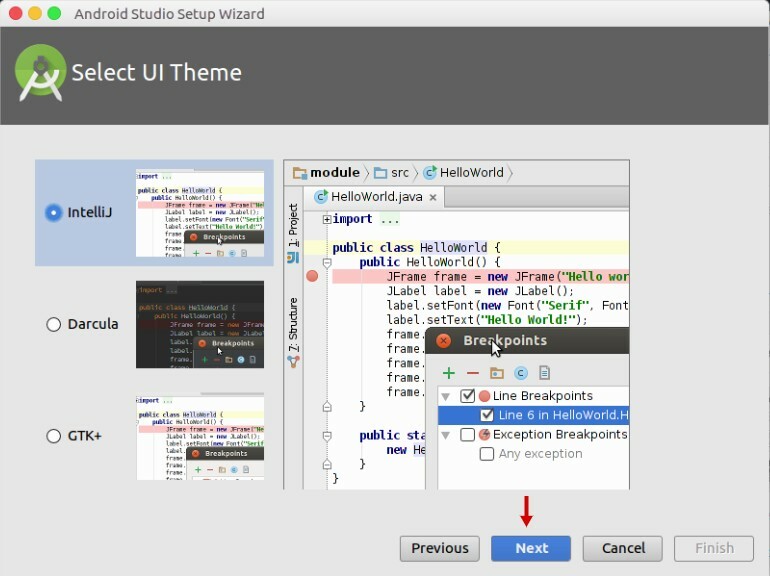 To do this, select Tools –> Create Desktop Entry from the Android Studio menu bar. Have a nice work!